The Ruxton is Wiley Brothers' plaque buckle, designed to be personalized- in house engraving with 3-4 initials is included. 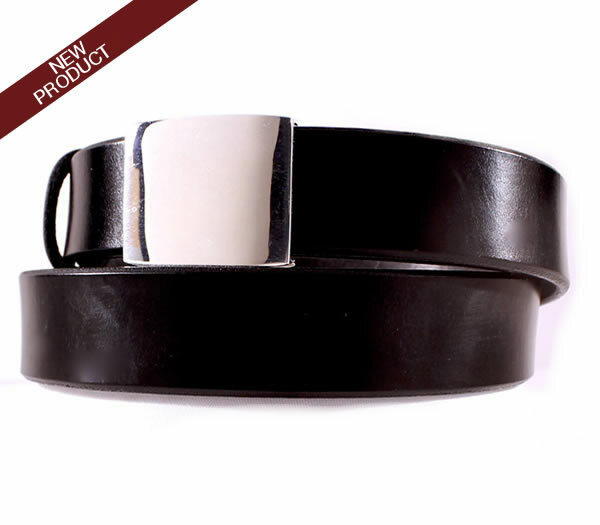 It fits an 1 ¼" wide leather strap. The Ruxton is a "bypass" buckle, which means the adjustment holes are hidden underneath the buckle- no stitches, no rivets, giving a very clean and sleek presentation. There are five adjustment holes on one inch centers for sizing flexibility. The Ruxton buckle is locally made in the Charlottesville area. Sterling Silver. (For Brass, please see The Brass Ruxton) .